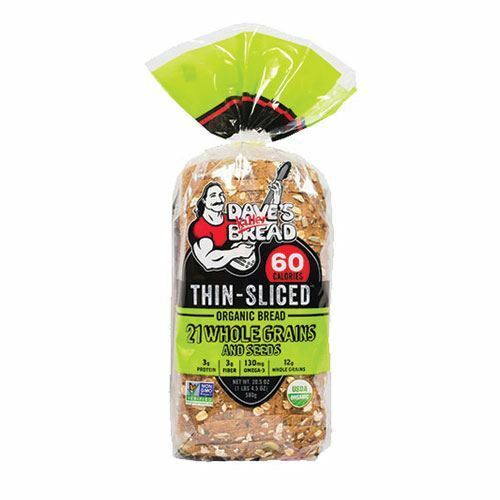 Dave’s Thin-Sliced delivers the same hearty texture, subtle sweetness, and a seed-coated crust as the 21 Whole Grains Bread, except it’s lighter and thinner with only 60 calories per slice. 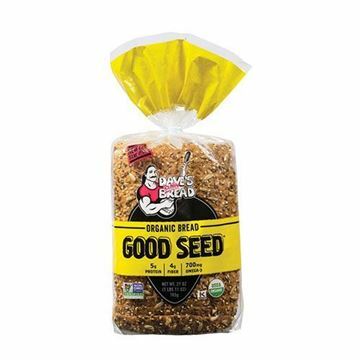 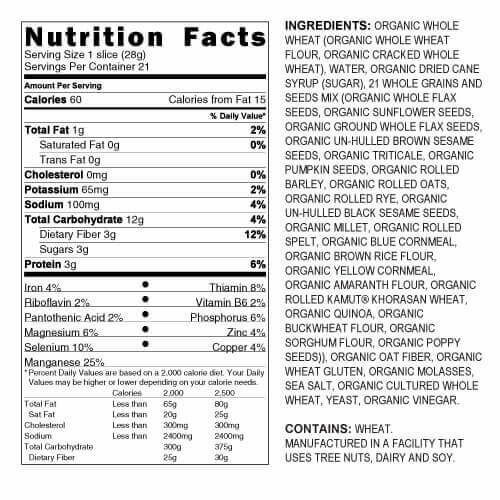 Loaded with protein, fiber, and whole grains with no artificial anything, no wonder it’s America’s favorite organic sliced bread. 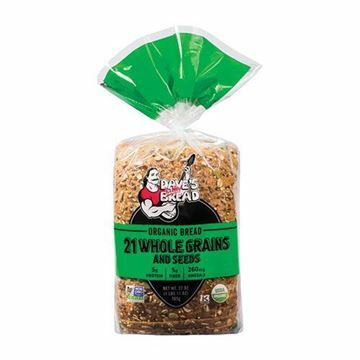 Note: Shelf life is 7 days from date of receipt. 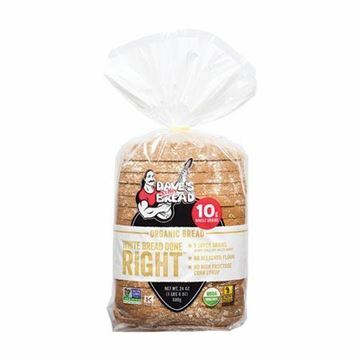 Tastes just right, good flavor, a bit crunchy and thin sliced, perfect.